Some of us have dreamed about our wedding since we were little girls, including me. I played dress-up in old wedding dresses since the age of three, begging my mother to find me new dresses when I tired of the old ones. 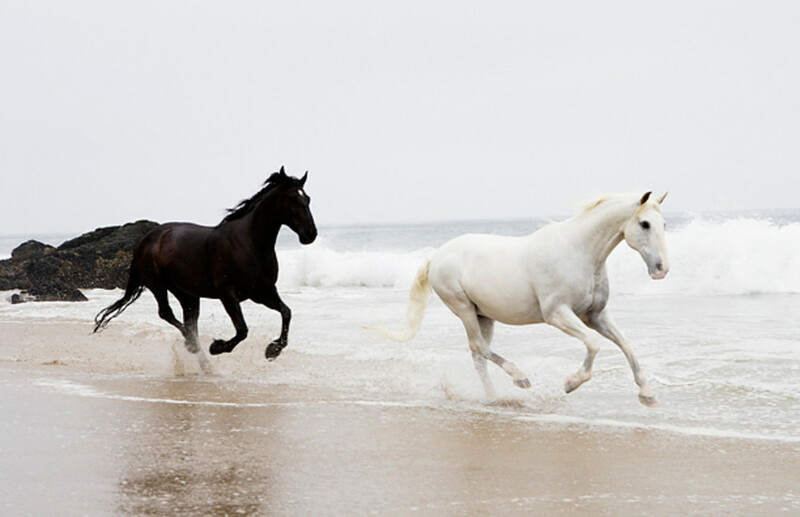 When Jim Jordan Photography sent me these photos, I fell madly in love with the concept of having a beautiful photo shoot on the beach–with horses! I can’t think of anything I would have loved to do more than this shoot during that time of my life. I have been married 17 years now, and we have had a few fantastic photo shoots so I can’t complain at all. However, part of me longs to be this bride, in her gorgeous gown, on that foggy tranquil beach, hair blowing to and fro…with two beautiful horses. It’s simply romantic.